Trusted by Known-Professionals and Guitar Players like You! 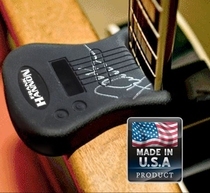 The Axe-Handler works great in places where using a bulky metal stand would be in the way, while offering the same protection. The product use originated as a solution to leaning a guitar on an amplifier when to avoid having the guitar placed in a rack stand or having the cord get caught up in the fold out metal stands used on stage. 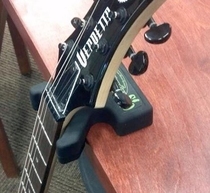 Nothing is more embarrassing than dragging a metal stand with you as you feel the cord pulling when you walk up to start playing. 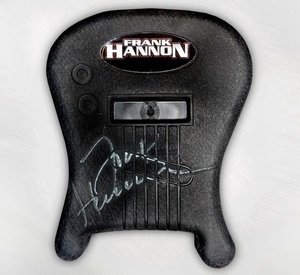 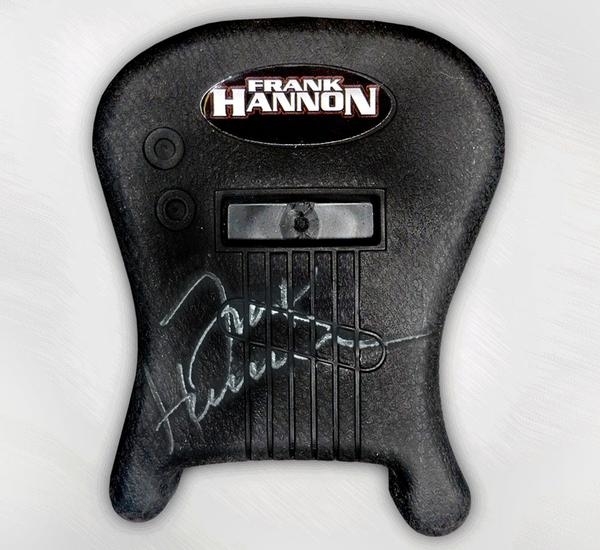 Custom "Frank Hannon" logo plate and hand signed by Frank Hannon.